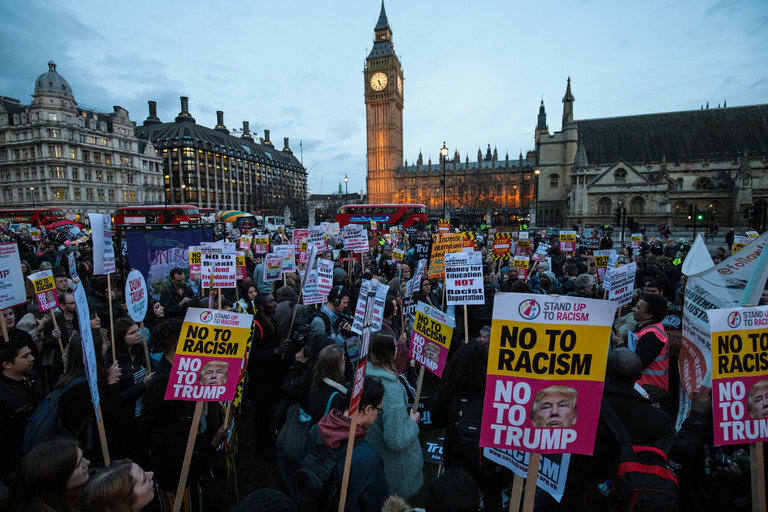 The NY Times reports on some reactions in the U. K. to Trump’s visit in "I Am Ashamed’ vs. ‘Get Over It’: U.K. Lawmakers Debate Trump Visit. One in particular is notable and merits my nomination for quote of the day. Here is more of the debate. In Parliament, Mr. Flynn cited the need to keep public trust in politicians and noted that no president had ever been invited for a state visit in his first year in office. He also accused Mr. Trump of acting “like a petulant child” and said the queen should not be seen as approving either his actions or his attitudes toward women and Muslims. The Kremlin wins this one either way. Granting Trump exceptional full honors chalks up a win for Putin and his puppet.